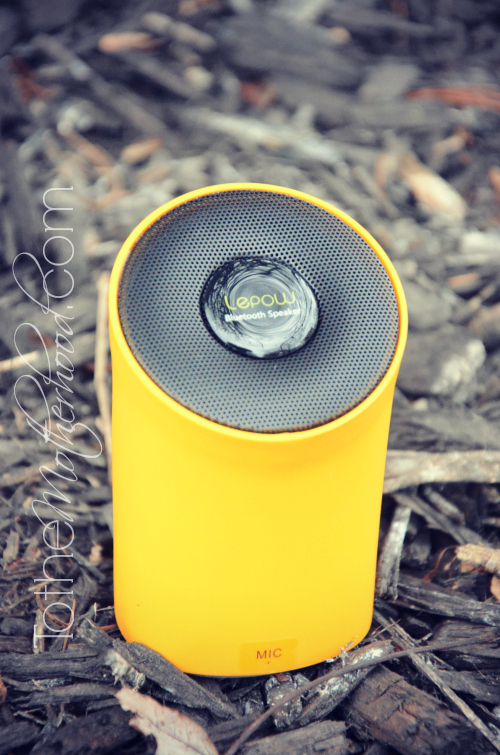 As soon as the weather warms up, fun adventures await me this spring and summer, and I’ll be bringing along a new traveling companion: the Lepow Modre Bluetooth Speaker. This speaker is just not any Bluetooth speaker, mind you. Not only its portability makes the ideal travel companion for music lovers on-the-go, but audiophiles will be astounded and rejoice when they hear how crisp, clear, and powerful the sound is with this speaker. Big things come in small packages, as the old adage goes, and this can easily be applied to the Lepow Modre Bluetooth Speaker, as well. The design is reminiscent of an elephant’s trunk, giving a 360-degree surround sound with a 33-foot listening radius via Bluetooth. It just isn’t exclusively for music listening either, because it features a built-in microphone for speakerphone calls. Even though it’s small, it enables you to freely listen to up to 7 hours of music. The built-in power bank enables you to charge your smartphone with its lithium battery. 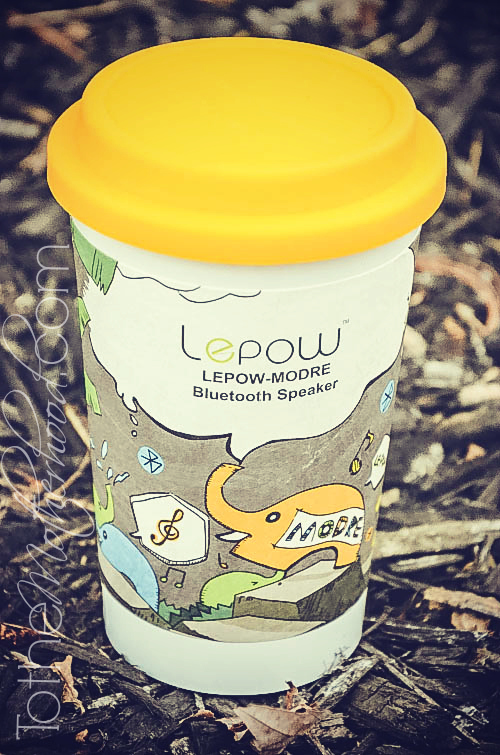 The Lepow Modre Bluetooth Speaker is housed in a reusable cup and available in three fun and vibrant colors: Blue, Green, and Orange. It regularly sells for $60, but it is currently on sale for $34.99 at Amazon.com. • Smart Bluetooth Connection – automatically connects to your device. Compatible with all Bluetooth enabled devices. • Impressive 360-degree surround sound with over 7 hours of playback powered by a lithium polymer battery (3.7v/500mA). • Built-in microphone for hands-free calling function. • The ultimate portable wireless speaker weighs under seven ounces and fits in the palm of your hand (3.5in by 2.3in). • One of a kind retail packaging unique to Lepow. Included are a 3.5mm flat audio cable and a flat Micro USB to USB cable (Lepow name printed on it) used for charging the speaker. Win It: One winner will receive the Lepow Modre Bluetooth Speaker. This is something I could see using in our home!! Sounds really neat and I love the bright yellow! I need a speaker so bad but never get around to picking one up, looks like a sweet speaker. I’ve heard a couple of people talk about how amazing the sound is. I think I’ll get this for my husband. Thanks! I totally need one of these for when I am cleaning the house!! It would be perfect. Jason Mraz is one of my favorites. I have that speaker and I love how clear and powerful the sound is. It’s awesome! I like Lorde, Katy Perry, Kelly Clarkson, The Band Perry and Blake Shelton. thank you! I love Macklemore and Florida Georgia Line. My absolute favorite is Prince. I also love John Cougar. I got one if these for my husband for Christmas and it’s been a huge hit! I listen to all types of music but some of my favorites are Mercy Me, Third Day and Hillsong United. Tonya recently posted..What’s on your Bucket List? I would love one of these! It would be perfect for just about anywhere in our house, even! I have this speaker and it’s amazing how much sound this tiny little speaker packs, simply amazing! Oh, wow — it looks like it can nearly do anything! I like Fleetwood Mac, Bon Jovi, Garth Brooks, Brooks and Dunn, Journey, Bette Midler, Rod Stewart,….. I could go on all night. I love a wide variety of music. I only listen to Christian music and one of my fave groups is Jesus Culture! Some of my favorites are Bob Segar, Eagles, Train, and The Givers. I really like stevie ray Vaughn and bb king.. I like rob Thomas & Matchbox 20, Goo Goo Dolls, Train, Britney Spears, & Lorde. Pik Floyed, Katy perry, Queen Etc. I love Adele, Styx, Motley Crue and The Eagles, just to name a few! Metallica is my favorite band.